Of all the places in your home that seem to receive the least amount of cleaning attention, the stairs are probably the most important of all. 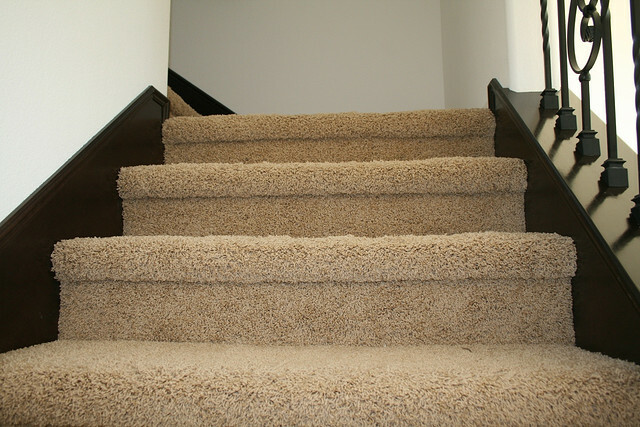 The problem with carpeted stairs is that they attract dust and dirt as well as any other carpeted room in the house. Whilst they might seem harmlessly separate from the rest of the home, stairs are used far more regularly than you might think. As long as you’ve got people consistently trudging up the stairs, you’ll need to treat them with the same affection as any other part of your home. So you’re in agreement that your carpeted stairs might need more of a clean every now and then, but you’ve realised that it isn’t the easiest job to get done. Carrying your vacuum up and down flights of stairs can be a nightmare, so here are a few tips to consider should you need to vacuum your stairs in the near future. The stairs can quite easily be littered with all sorts of things, some of which are a lot larger than your average scraps. For example, some people use the stairs to put things on should they need to be taken upstairs. Anything like this can get in the way of your vacuuming work and potentially clog up the vacuum, so make sure there are no large debris still present on the stairs before you start the job. It’s important to start from the bottom of the stairs and work your way upwards for safety reasons should you need to move your vacuum around at all to reach certain areas. If you’re struggling to reach certain stairs as you move up, try and make the most of some plug sockets on the landing if possible. Once you’re happy with that, start vacuuming the edges and corners first. The smaller nozzle is best for the harder to reach areas of the stairs. Once you’ve done all the edges and corners, attach the larger nozzle and begin vacuuming the entire stairs. Try and use a nozzle that suits the size and shape of your stairs as this can make the job much easier. Change the angle of your approach of necessary, moving in an up and down motion to ensure you get all the dust and potential allergens up and out of the fabric. It’s as easy as that. If you are concerned about lugging a heavy vacuum around your staircase, see if you can invest in a vacuum that reaches further. Alternatively, if you feel a deeper clean is necessary for tough stains or troublesome allergens, contact Apple Clean and make the most of our unrivalled cleaning services.